I was most frightfully tired – really felt very seedy. Up late – then John came in, and we went out together and had some lunch in Lyons, but it was so nasty we did not get nourished. To the Duke of York’s Theatre by bus and Stalls to see ‘The Land of Promise’ which we enjoyed immensely. The first act was real, the others impossible but the whole thing charming and so beautifully produced and acted. Irene Vanbrugh and Godfrey Tearle quite delightful both of them. It was quite like a professional matinee – nearly all pros. Gladys Cooper in a box – I don’t think her pretty and such a mean silly little face. No end of people we knew and suddenly someone came up and spoke to me. For the moment I couldn’t remember and then the voice – Miss Mabel Wynne, the great fat girl in ‘Quality Street’ and grown quite slim. She knew me at once she said. I haven’t seen her since those days. She has been on the stage ever since, is very shoppy, and no nearer getting to London. Irene Vanbrugh got quite an ovation after every act – she is a brainy actress. John and I went to the A.A. and there was Miss Wynne again – so we had a chat over tea. Then John and I by tube to the White City and there we strolled about. I was dead tired and had the rat horribly until we had some dinner when I revived a bit but felt anything but lively and walked about in rather a dead fashion. We did not try many side shows and they were failures. Bostocks Zoo – heaps of performing lions but all very sad. We missed most of it as we went there last but we saw the poor dears fed. We also saw some wonderful racing on a miniature motor track, but John was seized with a panic fear so we came out. It was really a most amusing evening there as the Eton and Harrow match had been played – Eton winning and all the boys, mothers and fathers, cousins and uncles were there. It was a crush and crowd, all the side shows packed, crowds waiting for everything and so much real typical English excitement – not only amongst the young folks, but even Mas and Pas, and all decorated with light blue. It was a scene on the Witching Waves – they collared the whole corner and in the end had to stop it and get a policeman!!! How the boys enjoyed the joke. It made me feel very old to be walking round in that mournful manner in the midst of all that fun. We did not leave until 12 – got a train to Victoria and then had to walk. Oh I was tired. ‘The Land of Promise’ was a three-act comedy about life on the Canadian prairie written for Irene Vanbrugh by Somerset Maugham. Kate had actually appeared alongside Godfrey Tearle- for one performance only – in Christopher St John’s censored play, ‘The Coronation’ [see Campaigning for the Vote: Kate Parry Frye’s Suffrage Diary pages 88-89]. Kate had met Mabel Wynne while touring in J.M. 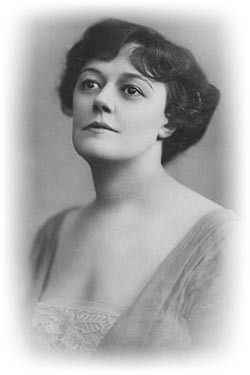 Barrie’s ‘Quality Street’ in 1903/4 – in the early days of her stage career. Mabel had played the part of ‘Patty, a cheeky servant’. The ‘A.A.’ was the Actors’ Association – a club – with premises at 10 King Street, Covent Garden. After the theatre Kate and John went to the Anglo-American Exhibition, which had opened on 14 May, to celebrate a century of peace between Britain and America. Until 1908 this area at Shepherds Bush had been farmland before becoming first the site of the Franco-British Exhibition and then of the Olympics. 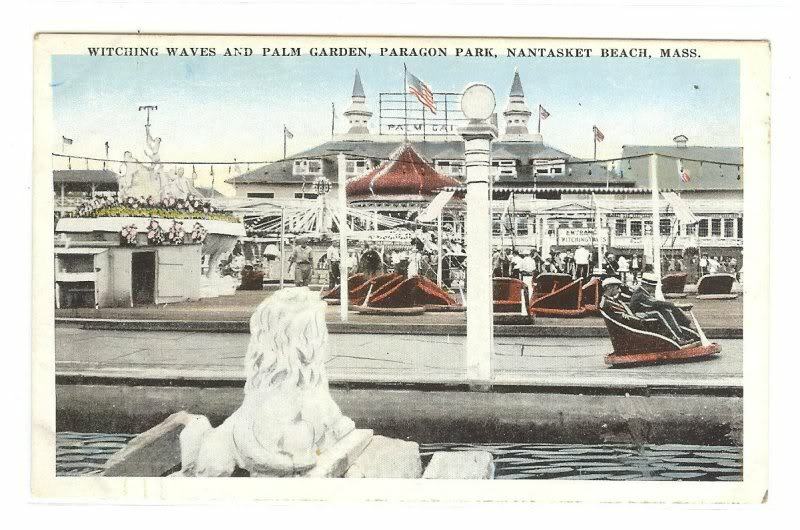 The sideshows ‘such as made Coney Island one of the merriest spots in America’, as one newspaper report put it, were very much a feature of the exhibition. Kate was very much an animal lover – hence her qualms about the ‘heaps of performing lions’. A little over a month later newspapers reported that ‘Three healthy medium-sized elephants have been requisitioned from Bostock’s Zoo at the White City by the military authorities. It is presumed they will be used for heavy draught purposes. At the end of the war the elephants will be returned to the menagarie.’ I wonder what happened to those elephants? The Eton and Harrow match clearly engaged the public in a way we can scarcely now imagine. Kate was not exaggerating the rumpus caused by the ‘rag’, as it was described between the rival supporters. On the following Monday morning the Daily Gazette Middlesborough reported that ‘To clear up the traces of Saturday nights’ Eton and Harrow revels at the Anglo-American exhibition took until after midnight on Sunday and thiry wagons were needed to remove the litter of paper streamers and other debris.’ The ‘Witching Waves’, which according to Kate bore the brunt of the revelry, was one of the Coney Island sideshows . When the Prince of Wales had visited the Exhibition it had been difficult to remove him from ‘the little cars that navigate the rolling, heaving platform called ‘Witching Waves’. 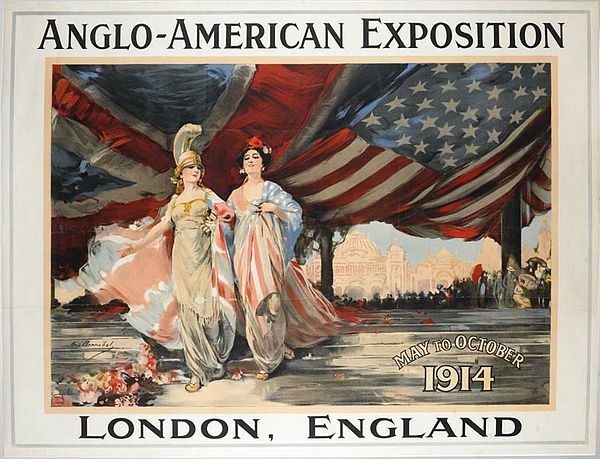 The Anglo-American Exhibition was brought to a premature end by the outbreak of war. This entry was posted on July 11, 2014, 12:00 pm and is filed under Kate Frye's Diary. You can follow any responses to this entry through RSS 2.0. You can leave a response, or trackback from your own site.